KASUR: Surrounded by a handful of supporters, Assef Ahmad Ali is standing in front of the enormous, raised desk of a district judge. Ali is here for the business of the day: to submit his party affiliation and have an electoral symbol allocated. The former foreign minister who quit the PPP and his seat, NA-140, in late 2011 had hoped to be contesting on a PTI ticket with a cricket bat as his electoral symbol. Instead, Ali is requesting a matka, a water pitcher, as his symbol and will contest as an independent candidate. Ali’s journey from the PPP to the PTI and now, once again, as an independent candidate on a seat he won in 2008 by defeating Khurshid Kasuri, Musharraf’s foreign minister, is a tale of broken promises, hubris and an independent streak — a streak Ali can afford to indulge because of his reliable vote bank among the dominant Arain biradiri, of which he is a sardar. Ali had in fact been out-manoeuvred by Kasuri, who joined the PTI after quitting his faction of the PML-Q. In a bitter intra-PTI struggle, Kasuri’s enormous wealth, appetite for power politics and determination to stand from NA-140, where his ancestral village is located, gave him the edge over Ali. Now, Ali has revenge on his mind. “Oxford always beats Cambridge,” the St John’s College alumnus said of his rival, Kasuri. But Ali is no longer considered the front-runner. 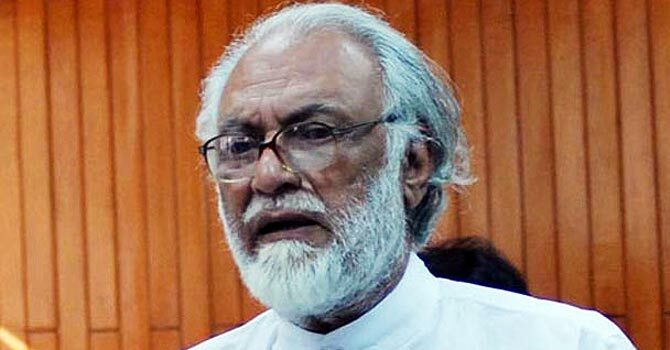 He appears to have been overtaken by Kasuri, who has won over an influential ally, a 27-year PPP veteran who quit the party earlier this month to join the PTI, and by a winner of the Feb 2012 by-election, Malik Rasheed, who won as an independent on the seat vacated by Ali and has since joined the PML-N. Rural politics On a long drive to a village meeting in this rural constituency, Khurshid Kasuri explained why, in his reckoning, he had lost the 2008 election to Assef Ahmad Ali in NA-140. “The death of Benazir certainly was a factor. But more than that, my wings had been cut off by Pervaiz Elahi,” Kasuri said, referring to his two Punjab Assembly running mates, who covertly supported Assef in the 2008 race. Elahi, according to Kasuri, saw Kasuri as a potential rival for the prime minister slot in 2008 and wanted him side-lined. “In 20 years, I’ve never mentioned Assef in a single race. He talks about me in every speech, in every conversation. I talk about only issues,” Kasuri said of the 2013 race. “It’s not for me to say who is strong or weak (as a candidate) but Malik Rasheed has a lot of support,” Kasuri replied, when pressed about who he sees as his main rival. What is clear, though, in this rural constituency south of Lahore is that party affiliation matters little, with perhaps only the PML-N able to claim some support. Of the four main candidates — Azeemuddin Lakhvi lost the NA-140 by-election to Rasheed by less than a hundred votes — every single one of them has changed parties since 2008. “As you get further away from Lahore and into the rural areas, it becomes more and more about the dharras and biradiris. It’s a reality that you can’t ignore,” Kasuri said. So while Kasuri did talk about Imran Khan and the PTI at his meeting with a small group of potential voters in a field, his principal campaign planks are the big-ticket development projects carried out during his 2002-07 term and dharra/biradiri support. Kasuri’s biggest coup has been to lure across Muhammad Hussain Dogar, the PPP veteran who is now Kasuri’s running mate. Dogar had wanted to contest NA-140 on a PPP ticket but found his way blocked by Azeemuddin Lakhvi, who joined the PML-Q after his narrow by-election loss in 2012. “Kasuri has killed two birds with one stone. 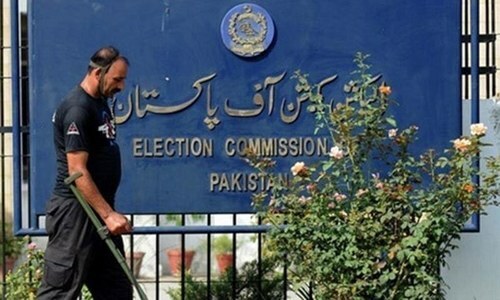 Dogar could have been a rival on NA-140 and would have taken votes with him, but now he is Kasuri’s ally,” Saleemur Rehman, a local journalist, explained. 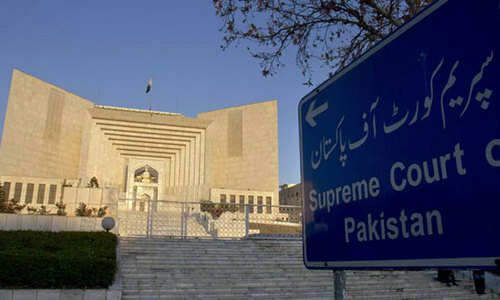 Local support Up against two formidable figures, Khurshid Kasuri and Assef Ahmad Ali, and a third opponent, Azeemuddin Lakhvi, who relies on a substantial Ahl-e-Hadith vote bank, Malik Rasheed, the PML-N candidate, has fought his way to the front by practising a very local kind of politics. “For 35, 40 years, this constituency, NA-140, was an orphan constituency. Lakhvi, Kasuri, Assef, none of them have their roots here and none of them live here,” claimed Rasheed. “I am a people’s man. My dera is always open, I’m always available, the people’s thanna-katchery problems are solved,” Rasheed continued, eating a small bowl of fruit mixed with cream. “Arain, Dogar and Kamboh are the biggest biradiris here. I don’t belong to any of them and yet I won,” Rasheed said of his by-election victory, his first National Assembly contest, which he won as an independent after the PML-N left Rasheed and Lakhvi to fight for the seat and the party nomination. Now, having secured the PML-N ticket, Rasheed expects a boost. “Had I got the PML-N ticket, I would have got sixty-five or seventy thousand votes,” Rasheed said of his 2012 victory, in which he captured 47,000 votes. PML-N (Rasheed) vs PTI (Kasuri) vs Independent (Assef Ahmad Ali) vs PML-Q (Lakhvi) —- the four-way contest in NA-140 has made victory impossible to predict. While rivals are quick to downplay Azeemuddin Lakhvi’s base as a narrow, purely religious vote bank, Lakhvi is very much the dark horse.